I swear I’m not making the name up. I introduce to you, Team Crazy Japs! Crazy Japs are a bunch of young guys I see around every now and again, mostly at Okegawa Sports Land. 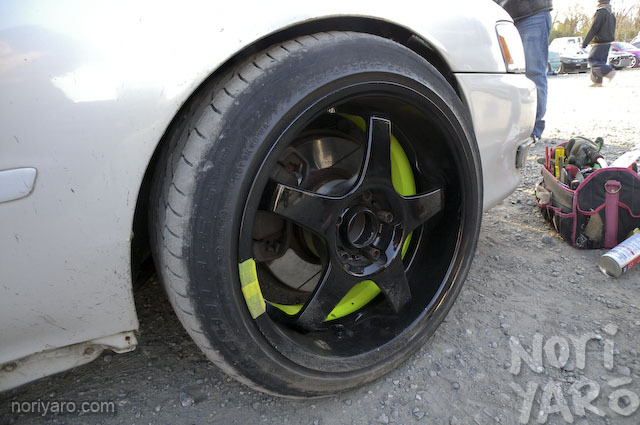 This JZX90 has an interesting custom wheel treatment. 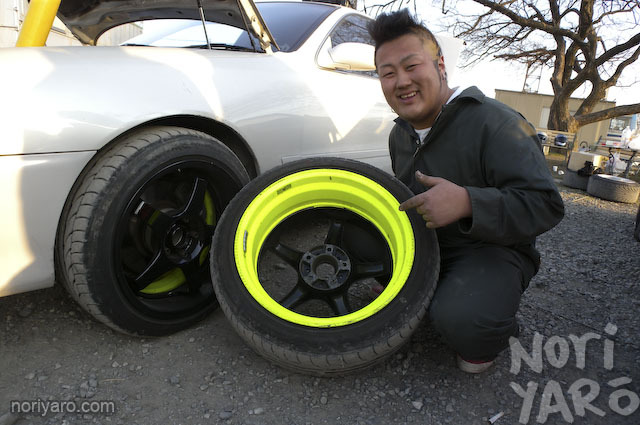 Black on the outside, fluoro on the inside. It’s subtle, but looks really good in motion. While the drivers are out on the track, all their friends will stand along the wall, wave plastic baseball bats and “encourage” them. If they get close enough, the rear quarters get a little tap with the bat. 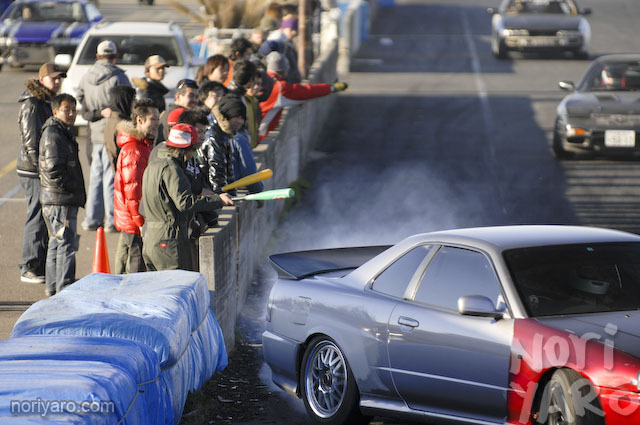 Here’s the Crazy Japs “fxxk’n drifting movie” which starts off with a bit of street, followed by action at Okegawa. Pay attention at the 3:20 mark. No problem, we’re Crazy Japs. 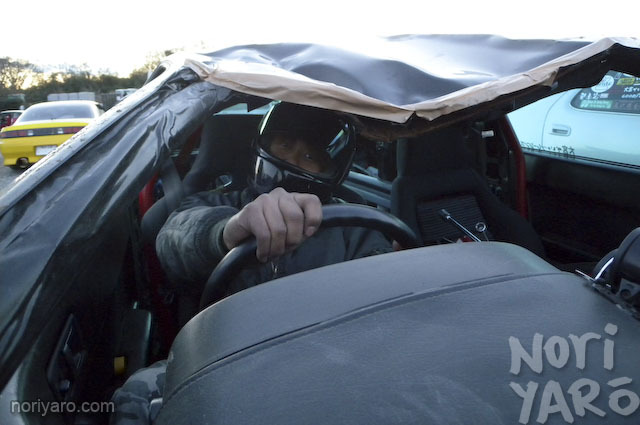 Was that a half cage, or a bolt in full cage in the rollover crash? looks like a half cage. lol these guys are nuts! Track officials in Oz take note…in which state would you see this kind of on track crazyness? Note to self: Install full cage in FC immediately. anyone know the name of the band/song in that vid? Death Note ending song lol. 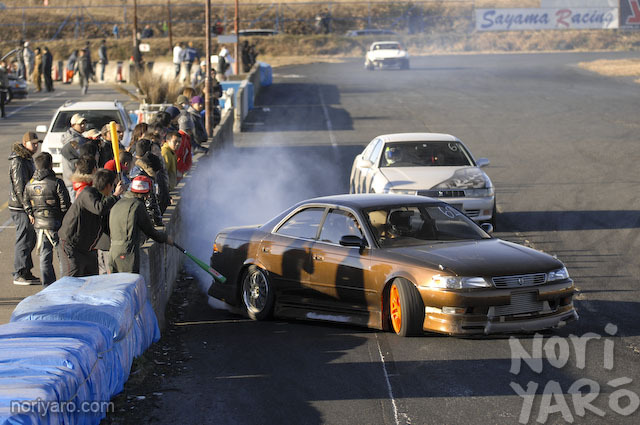 sickness and pure fun Japanese Drifting FTW!!! 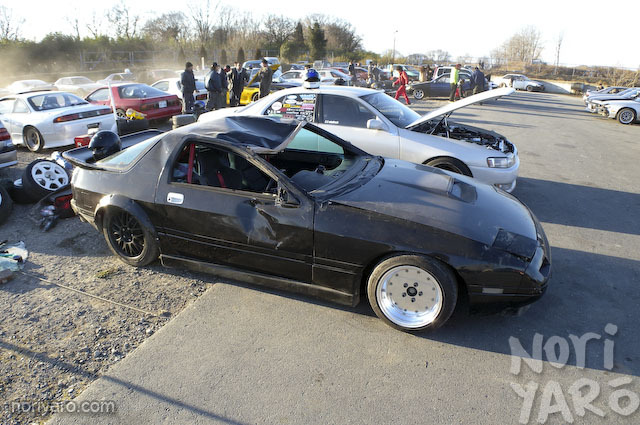 MTH song in a drift vid? Finally! Someone does it right!